Mrs Clarke, 73, said she was "humbled" to join names such as WH Auden, John Betjeman, Philip Larkin and Welshman RS Thomas in receiving the honour. It recognises her body of work which culminated in the collection A Recipe for Water, published last year. 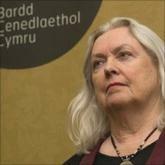 The Cardiff-born poet, who lives in Talgarreg, Ceredigion, will receive her honour from the Queen next year. She was named Wales' third national poet in 2008 and works as a poet, playwright, editor, creative writing tutor and translator. She is the author of several volumes of poetry and many broadcast plays. She is resident of Ty Newydd, the writers' centre in Llanystumdwy, Gwynedd, which she co-founded in 1990. Mrs Clarke said she was "stunned" when she heard she had received the gold medal. "It is absolutely amazing. I don't win raffles, so I didn't expect this. Some of my greatest heroes have received the award - Auden, Ted Hughes, Derek Walcot, Les Murray, U A Fanthorpe and, at the top of my list, RS Thomas. "I feel humbled so many wonderful people have received the award and I wondered if I belonged on such a distinguished list, but I thought if RS Thomas can accept, so can I." Mrs Clarke said only 11 women had received the award, and the medal was a "gift for poetry and for Wales". Poet laureate Carol Ann Duffy, who chaired the medal's judging panel, described her as "part of the literary landscape of this country". 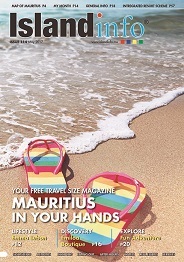 Ms Duffy said: "As such, it is easy to take for granted the impact and influence of her work. "Take an early poem, perhaps, like Letter from a Far Country. First heard on radio and published in the early 1980s, this poem subtly and lyrically describes the everyday household responsibilities of a woman with a full, ordered, demanding life at home and a longed-for, free, dream-like life elsewhere. "We could read it as a poem about a trapped housewife but it is so much more than that. It is a moving and beautiful statement about freedom and constraint. "Freedom and constraint - whether writing about women, ecology, politics or the natural world - these are the hallmarks of Gillian Clarke's art." The Queen's Gold Medal for Poetry was instituted by George V in 1933 at the suggestion of the then poet laureate, John Masefield. The honour is awarded for excellence in poetry for either a body of work or an outstanding poetry collection published during the year of the award. Mrs Clarke is also known to teenage readers as a selection of her poems have been set for GCSE English for a number of years.